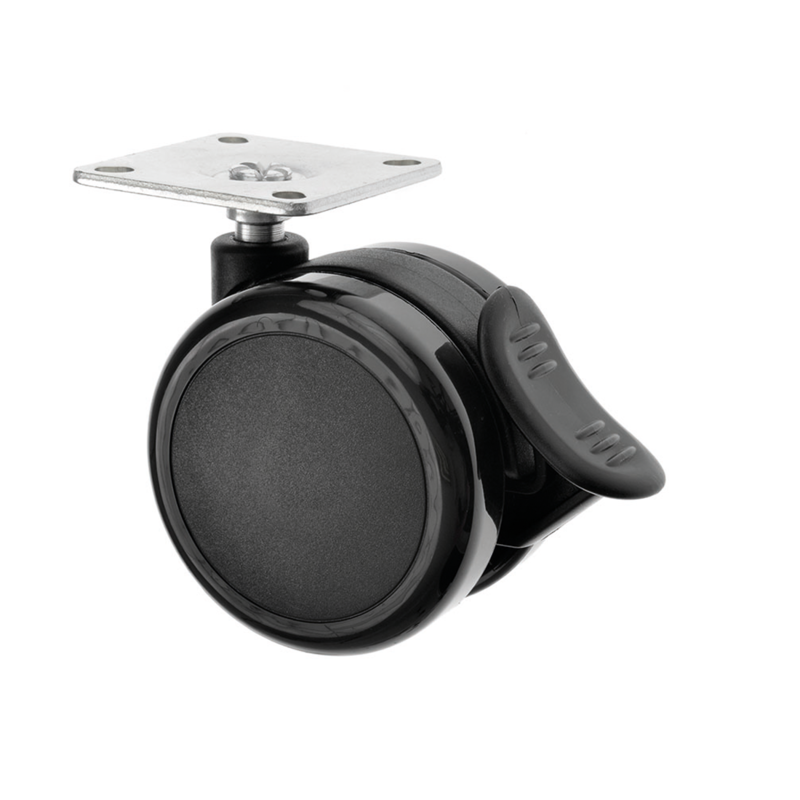 TW Twin Wheel Castors are a budget beating castor fitted with a top plate for easy attachment. These twin wheel black plastic castors are available in a range of sizes either with or without footbrakes. There are many uses for these furniture castors, from office chair casters, point of sale equipment and trolleys. Fitting screws are available from our accessories page.